When I read the learning title of assignment three “Expansive” which is landscape drawing I knew I need cast my eye widely but I am staying in China while I am doing most of exercises and my assignment three. Before I left UK I saved lots of pictures which are about the Yorkshire scenes. There are lots of beautiful areas like Yorkshire Dales, Harrogate, City of York, Whitby, Scarborough and Bridlington etc. 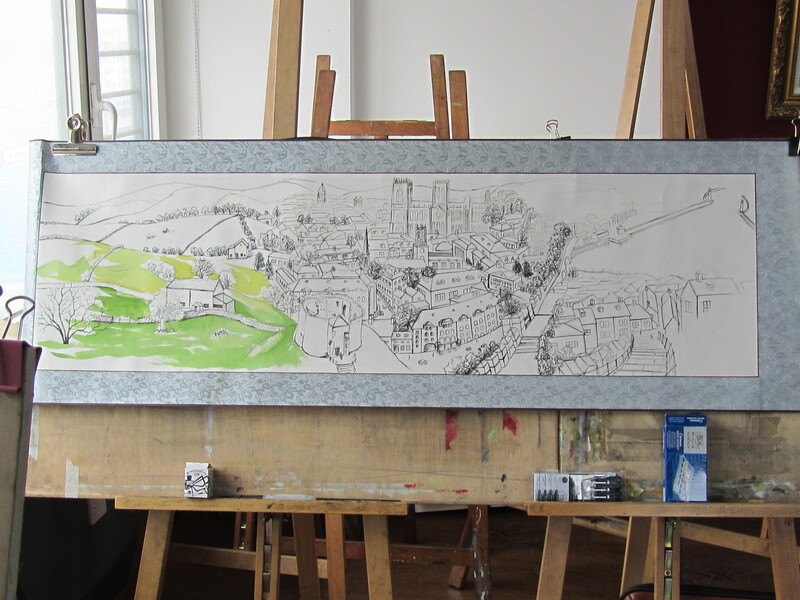 I am going to draw three areas of them which are Yorkshire dale, city of York and Whitby for a total picture that is representative of Yorkshire. Well when I am in China, rolled map format/ long postbox style composition are a common format, this kind of cultural compositions are around me. 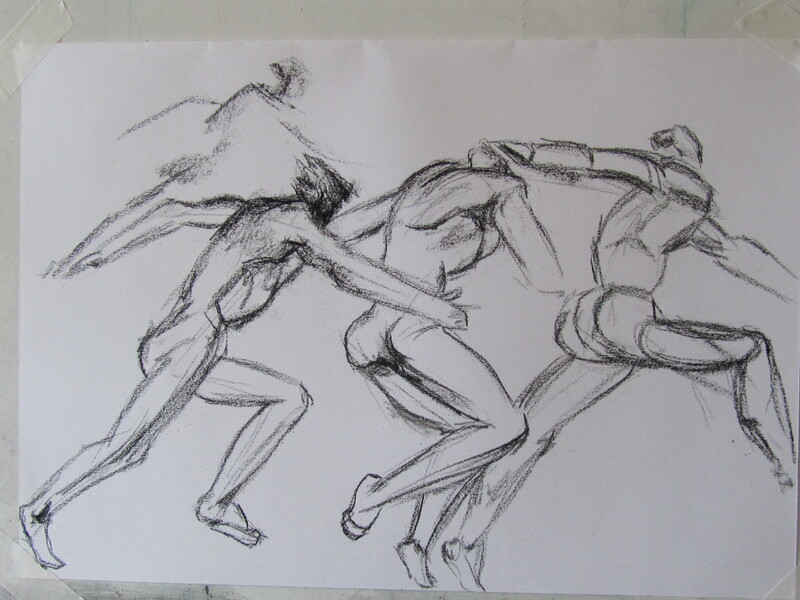 As I am an art student that I would like to learn more practical skills to improve my drawing. So I decide to use these tools to practice my assignment three. First I am going to find my paper. I have been to a couple of art shops. 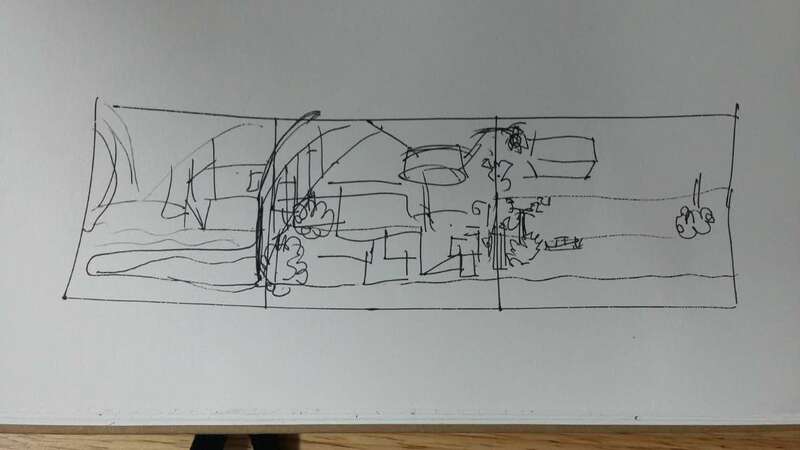 With the suggestion of the tutors in the studio for the paper size I suppose to get 45*180 cm (centre drawing size) but there is not any shop has this size. 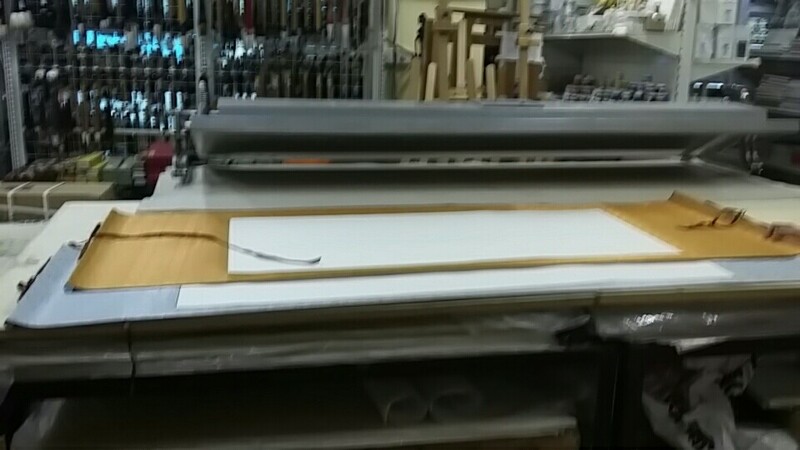 At last I got the final one 33*120cm which is off the peg. If I order the big size I need to pay much money as I will have to wait and be a special order. This is the picture I took in the shop which is a roll of rice paper (app20M) with a column box. The paper, ink, brush, and inkstone are essential implements of East Asian calligraphy: they are known together as the Four Treasures of the Study in China. 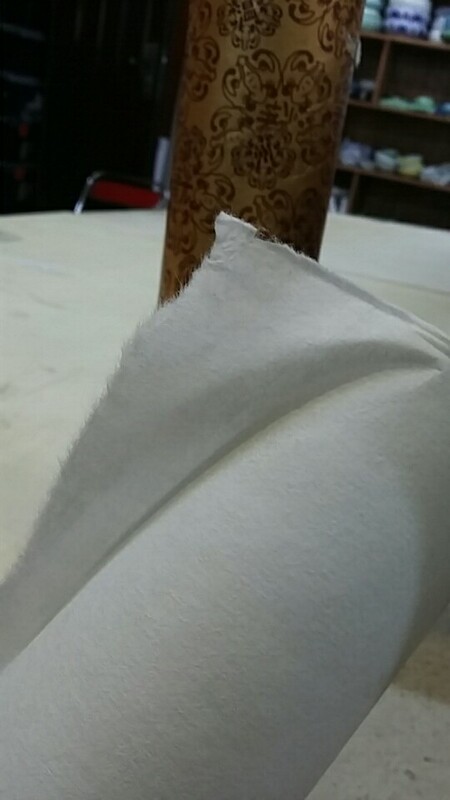 In China, Xuanzhi (rice paper), traditionally made in Anhui province, is the preferred type of paper. It is made from other materials including rice, the paper mulberry, bamboo, hemp, etc. Sometimes the brush is used to put ink on a pen. For this assignment, I use the rice paper. The rice papers featureare that it is delicate and lustrous, fine texture, perfect absorption. This is another picture I have taken from the art shop which are two forms are size 45*102 cm (centre drawing size) and size 33*120 cm (centre drawing size, total whole size 45*174cm). The background are a Paper Trimmer and hundreds of hanging brushes. This is a very interesting shop which has much cultural and traditional art in it and I quite like this art shop. Step 1. Get a draft of my thoughts. Step 2. Use photoshop to incorporate the three pictures in one. The most difficult problem is incorporate where the pictures join up at the middle bits. 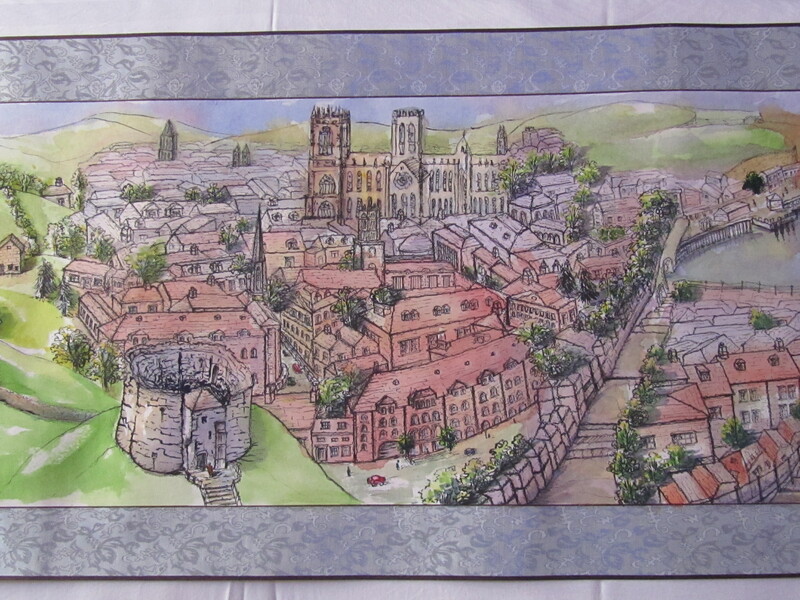 My preliminary thought is put the wall in between the Yorkshire dale and the city of York at the first link but the tutor gave me the advice that it is stopping the viewers sight and it best to put at the second link closer to the seaside where a wall would be more likely for protection or as a flood defence . Step 3. Have an attempt on a single thin rice paper by charcoal. The Clifford’s tower of York is moving to the left. The front houses in Whitby are too big. Improve the perspective of all the buildings. The steps going down to the seaside in Whitby look more like a bridge than a staircase. Step 4. Get a draft on the final material by 8B pencil. Step 5. Choose pigment and colours. For the drawing tools. First idea I wanted to draw with soft pastel then to use colour pencil to refine the detail but after I test on some paper then I decided to change my mind. I really wanted to test the winsor and newton pocket watercolour because I haven’t used on rice paper and didn’t hear anyone use watercolour drawings on Chinese rice paper. The problem with this material it doesn’t like rubber but I can’t leave the rubber then the rubber took a lots of pieces away from paper. At last the paper is getting thinner and the pigment are fading and blur. I have been told of a couple of times the sings are too dark that I need to be as gentle as possible. Step 6. Use Winsor and Newton black ink to trace the lines. Step 7. Use watercolour to print the background. Step 8. Use fine line pen to get the details on. The tutor suggest to me using curve lines and the elements will be vivid. I know I haven’t completed it yet but this is a big challenge and there are so many learning points and skills here. If I have much time I’d like to learn Chinese ink painting with the Four Treasures of the Study that is a really fantastic skill for drawing. But now I need make sure I can use this composition for my assignment because I used watercolour which is painting tool not drawing tool. Well I was thinking about my Winsor and Newton 8 colours inks but one of them was broken so leaking in the pack and had to be replaced at last then changed. So this is the main reason I didn’t bring my ink pack with me when I come to China. I got lessons from studio from 12:00-17:00 for 5 days then another 4 days drawing in home. About 50 hours to finish all of it. I like my thoughts and my attempts but it is such a big composition with so many elements in it so I didn’t really control it well. But if I never try I never know how difficult it will be. I am pleased I learnt many things from this work. Some mistakes and problems because the paper and tools I can’t change but I do need to improve in my work going forward. 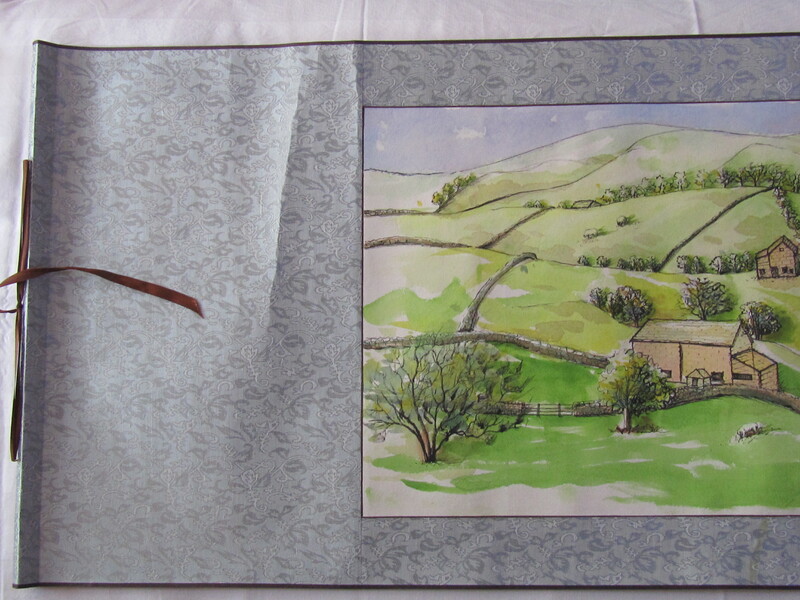 Changing the picture between Yorkshire dale and York. The house from single barn suddenly to hundreds of houses. 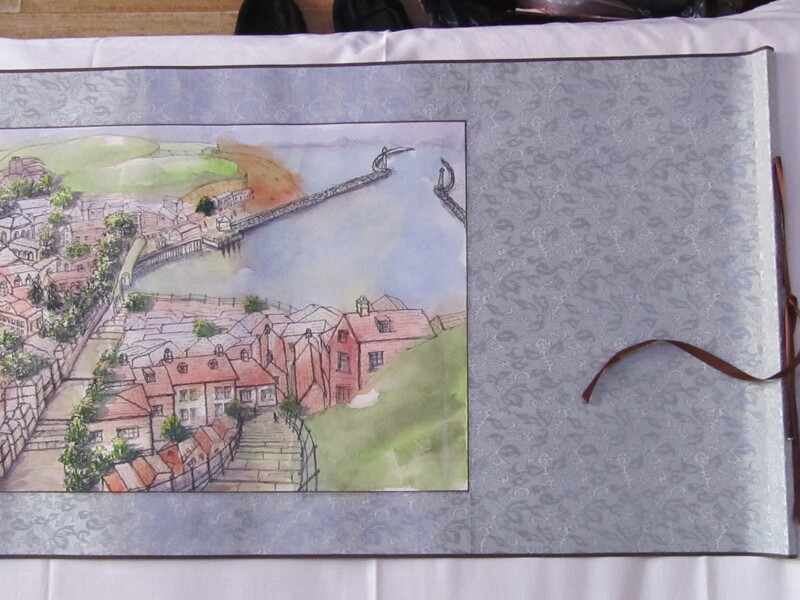 In part 3 on the top of the picture in Whitby there was a gap in the picture. I filled out a tree but I think that this was a mistake. I was thinking about to fill some more but I stopped it. 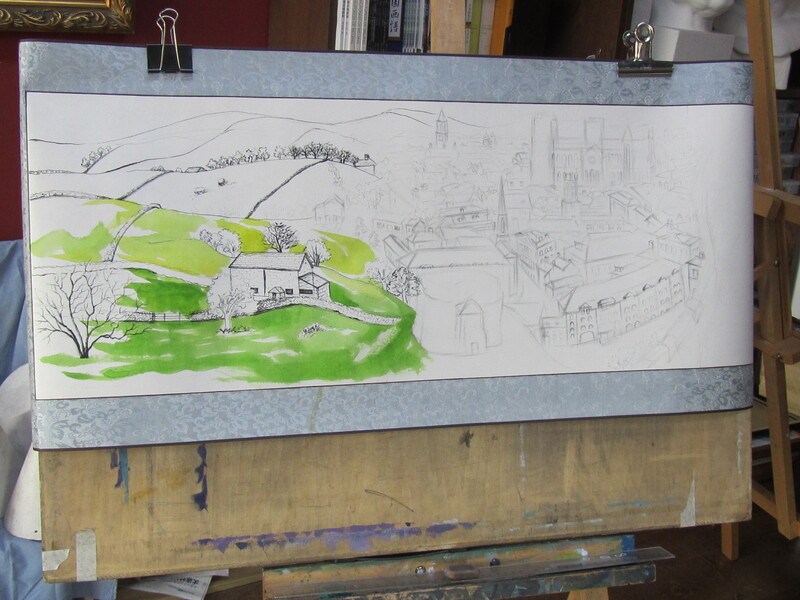 The buildings I have used curve lines but I didn’t fill a lot of line in the grass, hill and sea. I do worry I will damage something after that false tree on the dock. I left a white area as highlight on the hill down the right hand coner but it doesn’t look what it should be. If I fill some with colour will it also be a mistake. I haven’t found a way to sort out the red sand or yellow sand on the right hand corner. 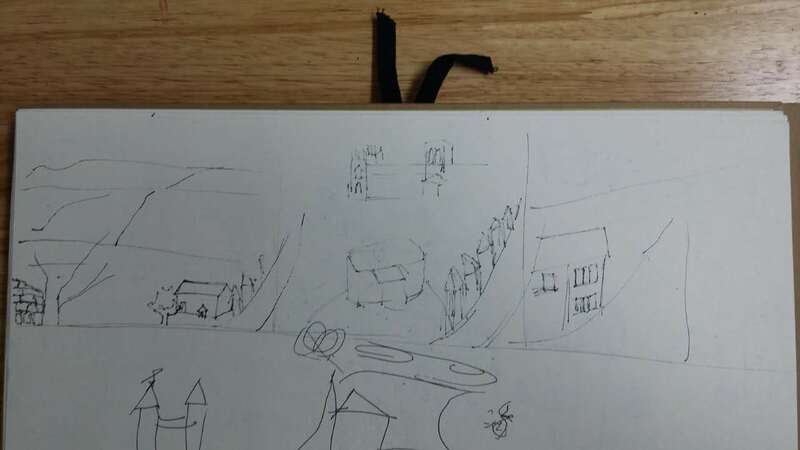 I think the landscape drawing is a big area of knowledge and that I need a long time to learn more for it. If next drawing lesson has any landscape I’d like to practice the same theme or title. I am sure I will use my sketchbook for to draw some more scenery. 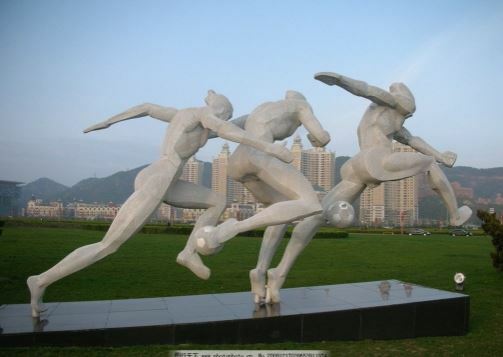 There are some sports models in Xinghai Square Dalian. I like to practice a group of badminton players for this exercise. The moving figures are preparing me to getting to part 4. 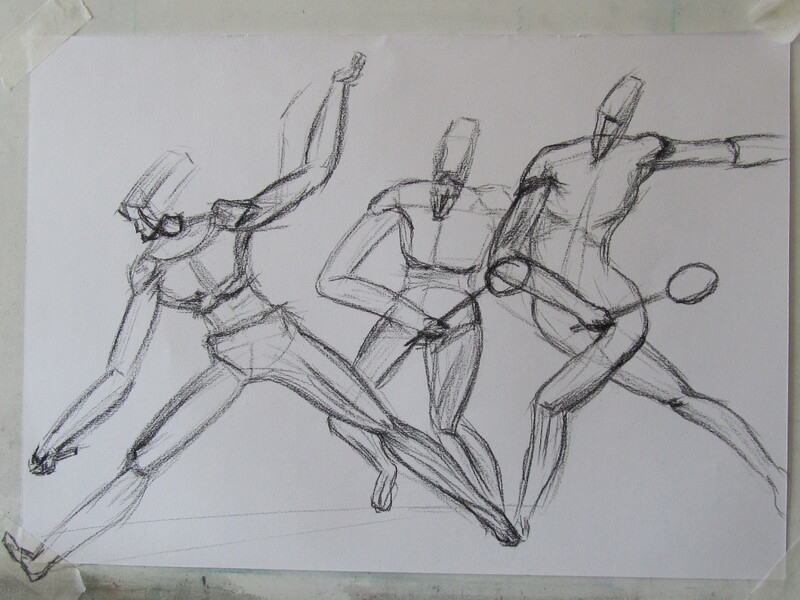 Step 1 Use some horizontals and verticals to draft the skeleton of movement on A5 sketchbook. Until now I am feeling my drawing knowledge is far away to the target. So I decide to leave the detail( 3D, colours and material etc.) 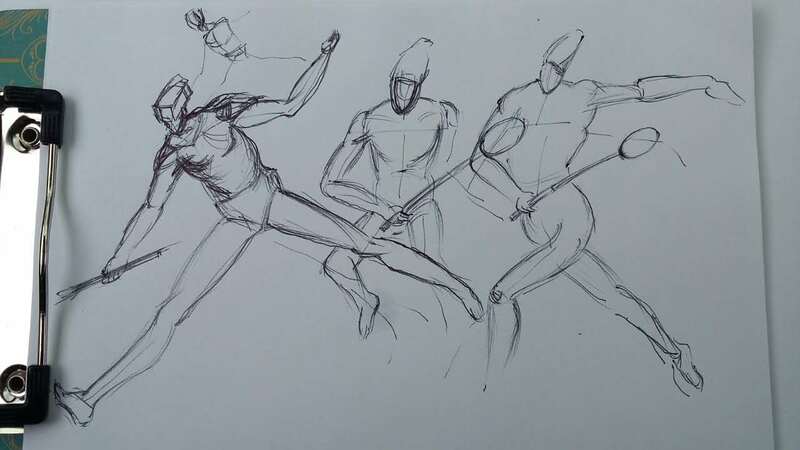 for this exercise just concentration on the movement of the figure and using lines. The third/right figure I am confused of its movement I am looking forward to learn some more of Character motive force. Another attempt of statue again of running figure. I couldn’t get the first figure’s head in right pose, I think that its head should drop a little bit. I should draw every part of the figures with strong lines. So I am feeling the big challenge of part four already. I am going to use my aerial perspective exercise to practice this exercise for developing colour. I used three colours of conte sticks which are black, brown and sanguine. Overall i am quite pleased with the result as the dark colour gives me the outlines of the buildings while the light colours give the shading of the interiors. My only issues is as before that I did not get the perspective correct on some parts of the building. Use two sketchbook pages I am going to use two horizontal papers so I can have a Panorama. This is on my hard bigger sketchbook. For preliminary drawing I am going to use conte stick to draw this scene from the sunny afternoon. Then I use black fine line pen to improve it. 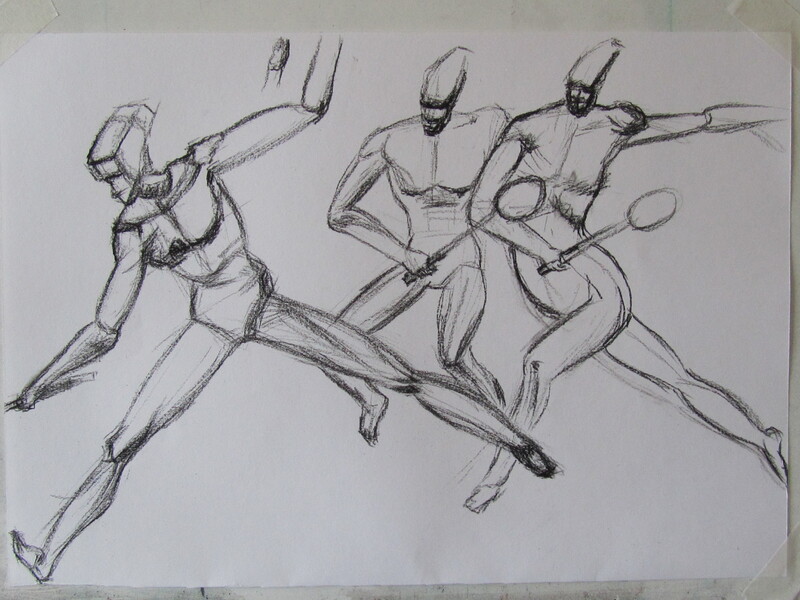 The preliminary sketch did help me for plotting all the elements and where they should be, also what they look like. This time I used a little bit of curved lines as I just wanted the elements to be more vivid but I just need to improve my drawing, perspective and proportion skill. 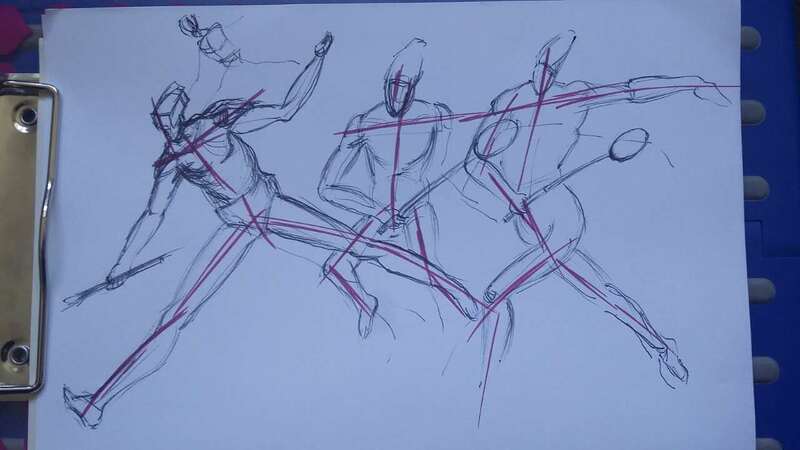 I got my sketch for outdoor drawing at Zhongshan Square Dalian. My viewpoint /eye level is just above the ground. This is an area of finance and culture in the city. All the buildings around are of historic significance. I use my A5 sketchbook to divide an area which size is 10*10cm. It’s facing to the north direction and light is coming from top left. It’s 14:00 ish in the day. First sketch I used 3B to plot the traditional and urban Bank of China. The second I used charcoal to plot the bright and dark areas of the two parts of group building. After this plotting of the basic briefing. I used charcoal to draw a bigger sketch. Until now I release this choice maybe not the best view I had in this exercise but I am still thinking this is a beautiful area and this is one seventh of Zhongshan square. For the composition I made a big mistake in that the elements are too big and swollen out to the eyes. The front of the building( facade) which is the tradition part is not feeling 3D. I attempted to have the trees in layers but I only finished up with a single line in front of the building and in the bottom part of the building. I have to leave this work here because I had to have an extension of my deadline for the assignment and I still have not finished so I am going hurry on for the rest. For learning about the contemporary artist John Virtue before I start townscape. As I am in China at the moment I have copied some research works about this artist into my computer so I am able to review them while I am working on this project. Like the Chinese ink painting which are black and white colours around me. Virtue´s paintings are monochrome. So then I can compare these two kinds of ways of landscape art. I found 4 works of Virtue which I like a lot. The work of John Virtue are swapping between abstraction and figuration. 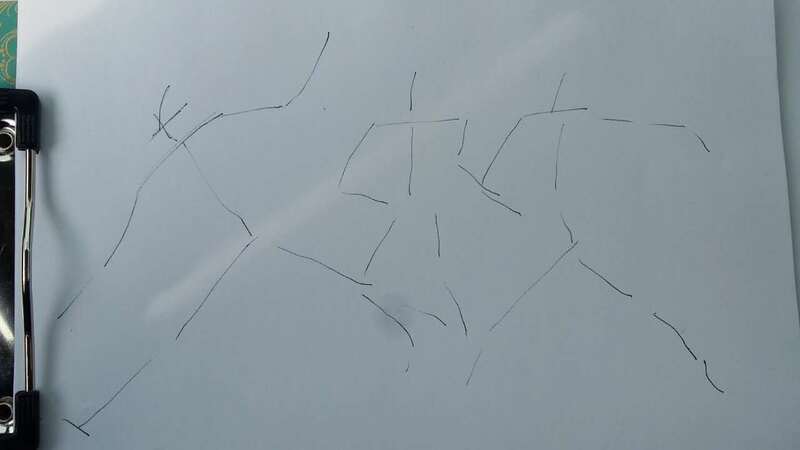 His work is a permanent present participle of storming creativity. His work fills out of the framing and composition. Another landscape artist I am looking at is Adrian Homersham. I like his works. His works are expansive and with momentum and magnificent scenes. As I am at a stage of basic learning I do need to be careful with my perspective so his works are really informative on this aspect. I do like that he depicts the objects in the strong atmosphere of his scenes.